The plugin enables the user to export Autodesk® Revit® files directly from inside Revit to 3D PDF files. The purpose of this tool is to allow users to share their designs in 3D PDF (Portable Document Format) technology; the format is natively supported and interactively by the version of Acrobat Reader. In addition to exporting geometry, materials, and cameras, the plugin enables the user to create or use templates, to brand generated 3D PDF files. When installing the plugin the user will automatically get a 21-day trial, during that time the plugin will have all the features of the professional plugin. What is the 3D PDF File format? - The Portable Document Format (PDF) is a file format used to present documents in a manner independent of application software, hardware, and operating systems. - Each PDF file encapsulates a complete description of a fixed-layout flat document, including the text, fonts, graphics, and other information needed to display it. 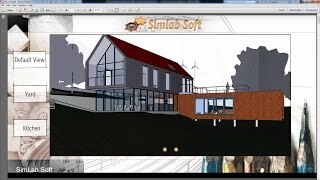 Why To Get Plugin From SimLab? - The speed of export. - Responses support to answer your question. Updating Plugin for Revit 2019.